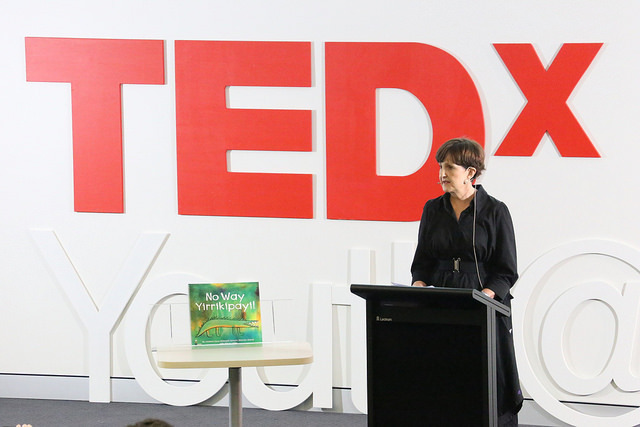 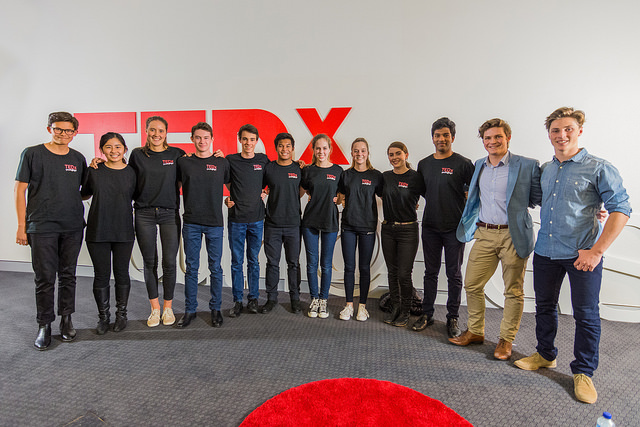 On Friday 12 August Brisbane Grammar School hosted TEDxYouth@BGS – a student-driven TEDx event providing a platform for thinkers, visionaries, and learners to inspire and be inspired by others. 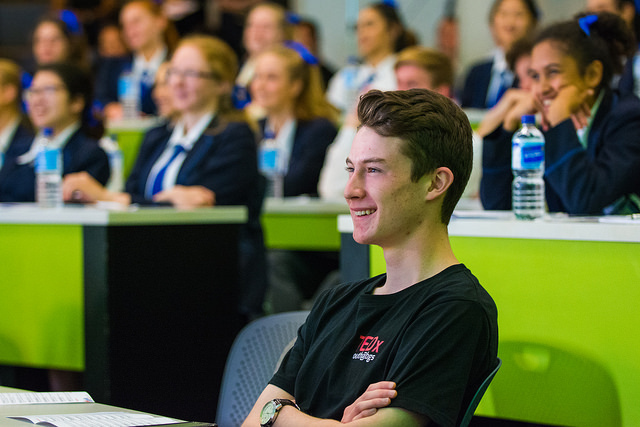 The theme was Moving Forward and saw speakers and performers from BGS, Brisbane Girls Grammar School, and other external high profile guests, cover a diverse range of topics collectively aimed at creatively improving the future. 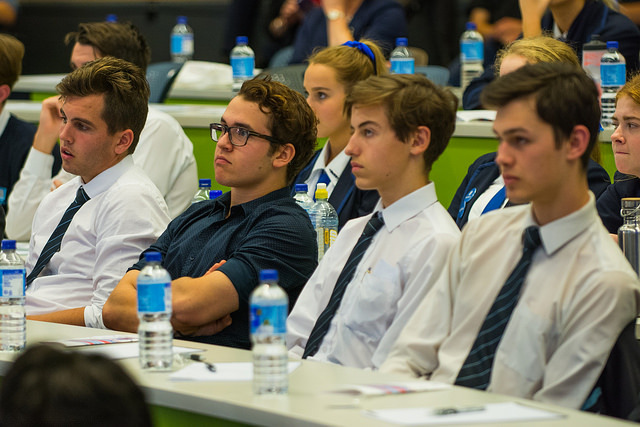 Year 12 BGS students presented a miriad of fantastic talks on a variety of topics. 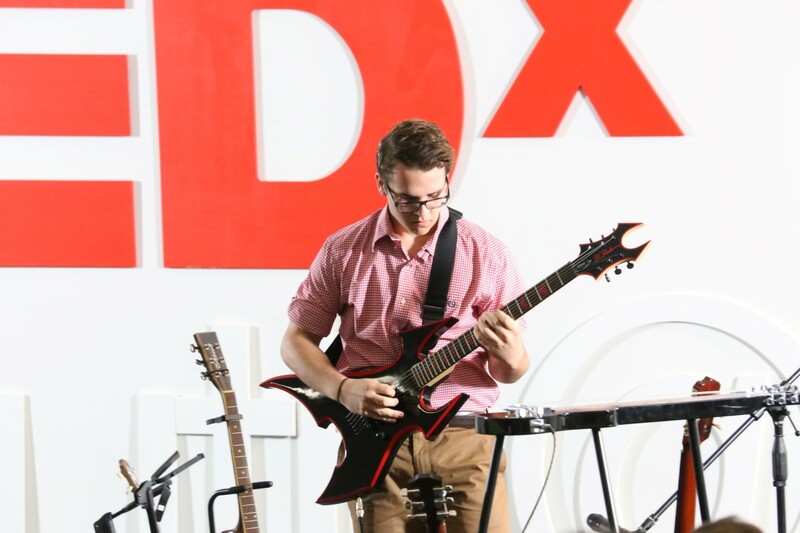 Harry warmed up the crowd through an incredible musical performance, demonstrating the evolution of the guitar in a performance spanning five different guitars. 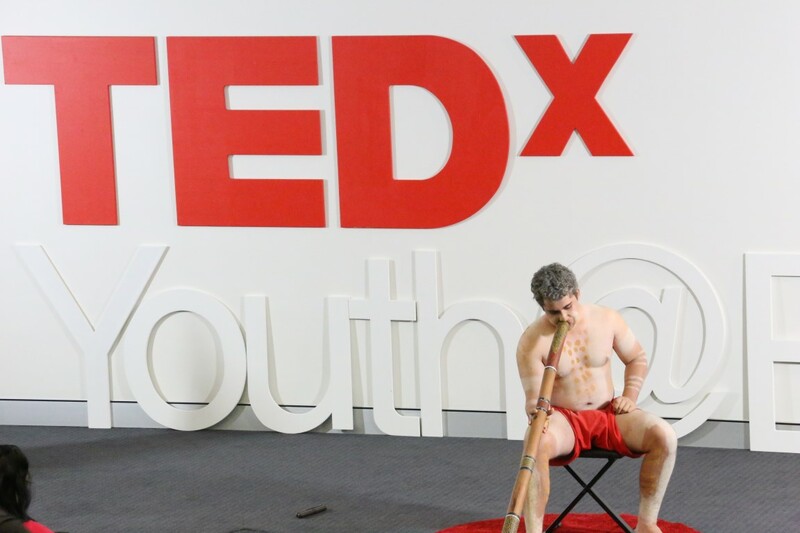 Ethan spoke about his passion for closing the gap for Indigenous people, ahead of a moving didgeridoo performance by fellow student Dylan. 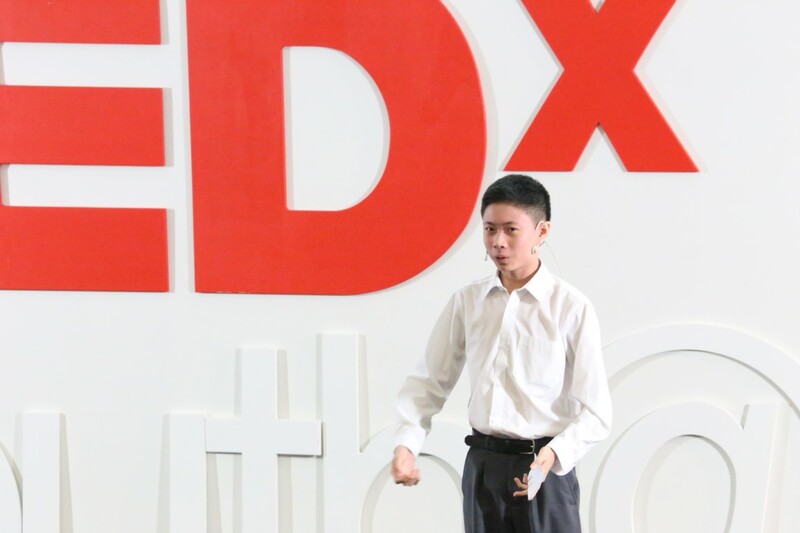 In a brilliant speech, Xavier challenged the concept of heroism, revealing some unbelievably callous and brutal acts by figures glorified as heroes in history books. 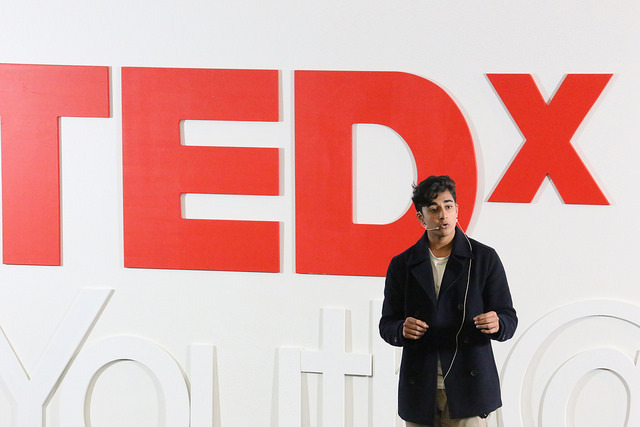 Sachin showed potential as a future physicist, exploring hidden dimensions and looking back at the works of Theodor Kaluza and Albert Einstein before looking to the future. 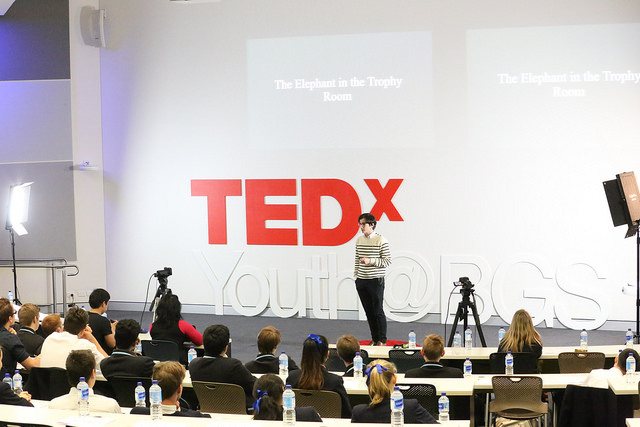 Year 9 student Keng added some comedic value to the event, reading his hilarious poem A-. 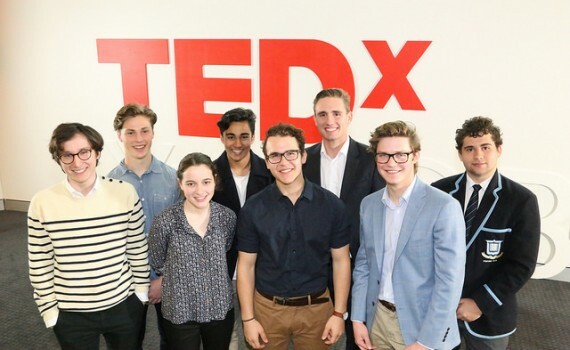 In amongst the speeches and performances by BGS students were thoughtful speeches by BGGS students Penny on the importance of the arts, and Rosie on the failed war on drugs. 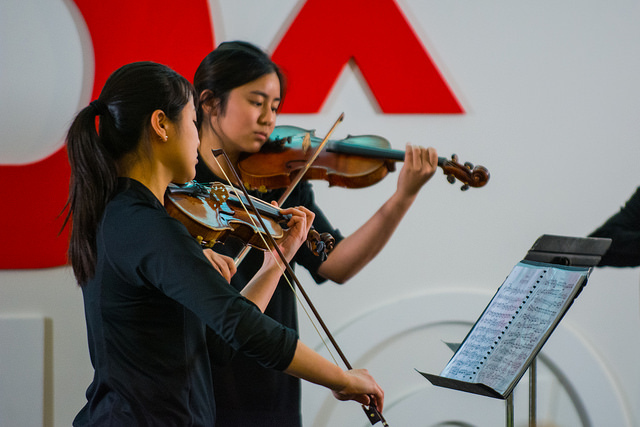 Penny was joined by Lucinda for a poem looking at pop culture, ahead of a string quartet performance by Chanelle, Fiona, Cherie, and Min. 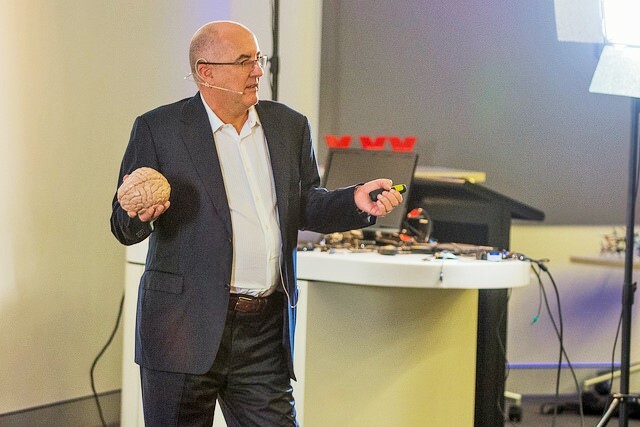 The external speakers left their impact on the audience, covering topics including the use of drones and emerging technologies, molecular bioscience and antibiotic hunters, understanding the brain and deep brain stimulation, the importance of literacy, and moving Queensland forward. 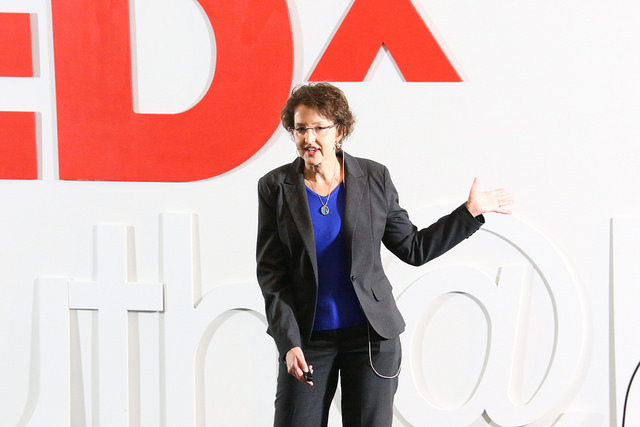 To see the full list of speakers and their bios click here. 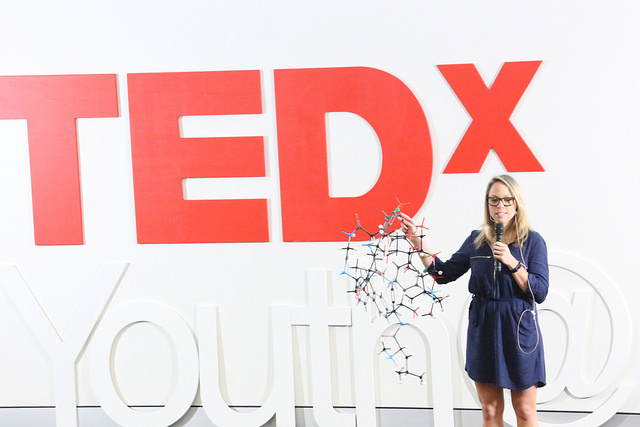 To see the speakers presentations on the TEDx YouTube channel click here. 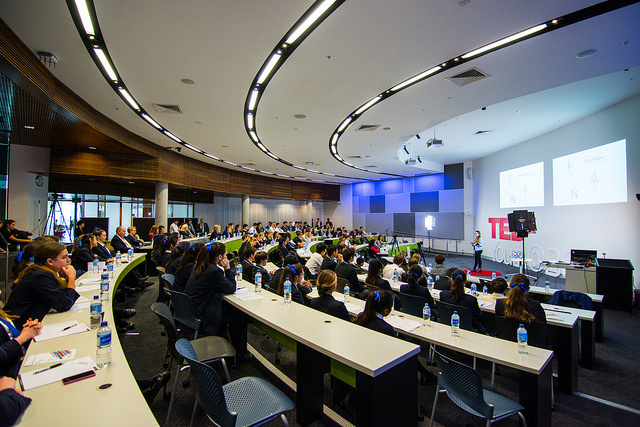 What is a TEDx event: TED stands for Technology, Entertainment, Design – three areas collectively shaping the future. 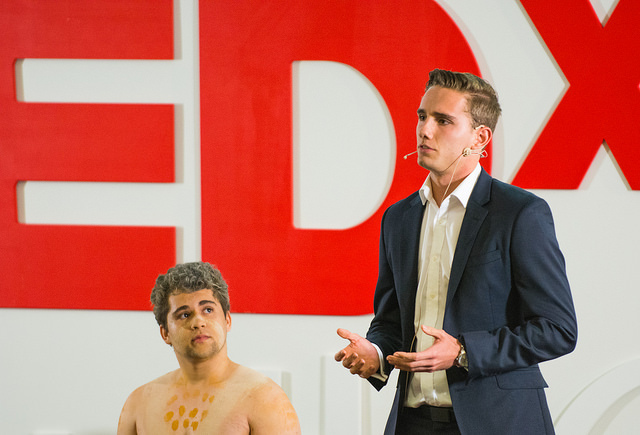 TED curates an annual conference to share ideas worth spreading and has a global audience. 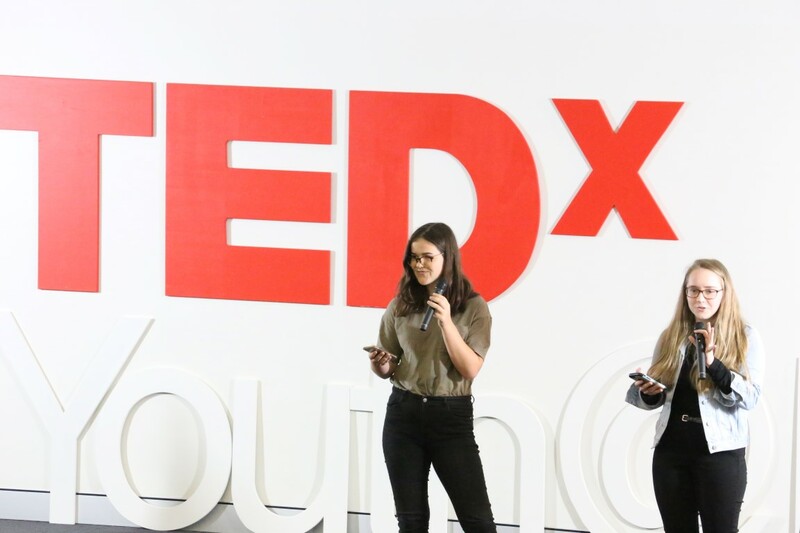 TEDx events are independently organised TED-like events aiming to generate meaningful conversations, inspire innovation locally, and share ideas worth spreading. 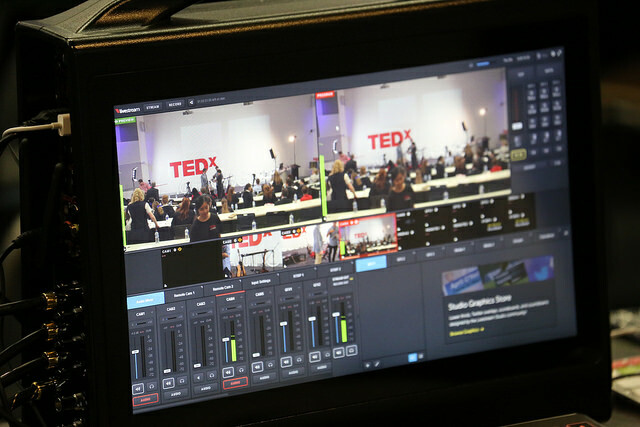 TEDx events are recorded and available for viewing online by a large global audience. 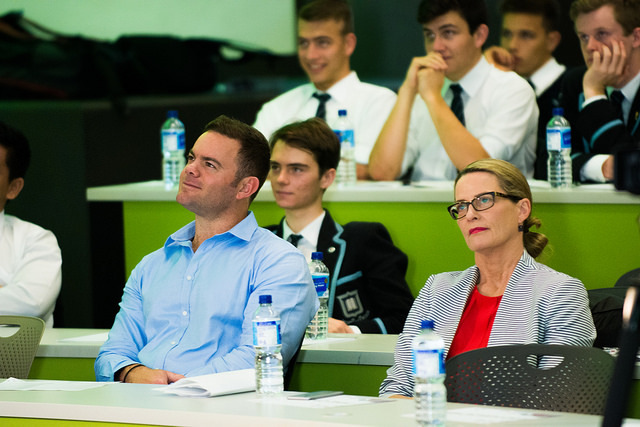 Article taken from the BGS News and Events page.